The Associate of Arts in Hotel, Restaurant & Tourism Management is designed to equip the student with skills and knowledge to enter one of the primary and fastest growing industries in the region. The program is designed with multiple career pathways including management, personnel supervision, customer service, and marketing and sales so the student may decide to pursue one or more certificates, a general associate degree or a specialized associate’s degree. Transfer skills obtained through course work to real world and professional experiences. Apply basic knowledge to a wide variety of industry segments such as front desk, sales, human resources and line supervision. 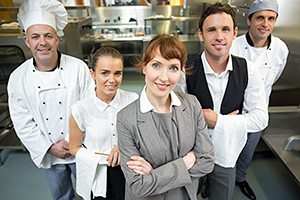 The Certificate of Completion in Hotel, Restaurant & Tourism Management are designed to provide students with the specific skills needed for successful entry into the hospitality and tourism industry.